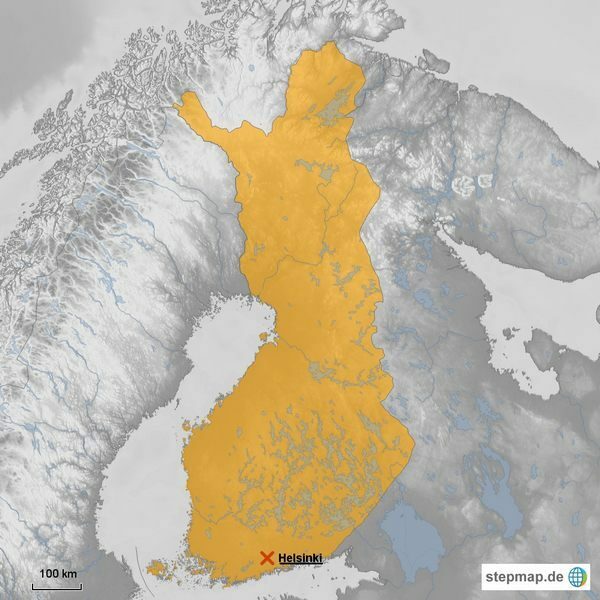 With unique combination of history and modernity, nature and human wonders, Finland can be deemed as the least explored European country. If you have turned-over this place, then you have missed one of the pre-eminent places in the world. With vibrant colors of nature, make sure to include Finland in your place-to-visit list. Visit this place round the year – whether it is in autumn, spring, winter or summer – as Finland will mesmerize you with its natural beauty! Having a Russian history connected with this place, Aland is an archipelago of large and many small islands. Having known in the history as the port city, you can visit the Museum Ship Pommern if you are in Aland, which will take you into maritime history. Also visit the Jan Karlsgarden Open Air Museum and Maritime Quarter. Unquestionably, you will be fascinated with the beautiful fields and landscapes. Visit this place for the attractive castles, long lakes and hilly regions! Hameenlina is a fascinating destination with all the blessings of nature and human. Roam around the banks of the Lake Vanajavesi, which will definitely capture you with its beauty. When you are in this town, don’t miss Tavastehus Castle, Sibelius Museum, Aulanko Park and Hameenlina Historical Museum. The store of art and culture, this capital city of the country has many sightseeing places for the visitors. Apart from the modern art galleries, including City Museum, National Museum, Finnish Art Gallery and cathedrals and churches, Helsinki is a land of natural beauty and beautiful landscapes! Located at the northern side of the Jyvasjarvi Lake, Jyvaskyla is the collaboration of culture and industries. Considered as the hub of culture, you should not miss the Church Gardens, Municipal Theatre and many orthodox and neo-gothic and neo-classical churches and cathedrals. Turku is one of the most attractive places in Finland. Turku has the culture and beauty which has attracted the visitors from the entire world. The place, which was a tourist hub in the past, still holds the power of fascinating the travelers visiting Turku. Some of the hotspot you can visit here are the Kauppatori, also known as Market Square, Swedish Theatre, Orthodox churches and the old castles stands as the reminiscences of the past. Placed at the eastern area of Finland, Lake Saimaa is considered as the Lake of Thousand Islands. This aquatic area of Finland has numerous rivers, lakes and small ponds which is an enthralling sightseeing place that travelers should not miss. Renowned holiday destination of Finland, Savonlinna is a lake city with eye catchy places to visit. Some of the must see places include Olavinlinna castle, King’s or Knight’s Hall, Congress Hall, Great Hall and Church Tower. Do not oversight the boat cruises in this region. Be in this small city of Oulu if you are a diehard fan of skiing. The place is famous for the skiing event during the spring season. Oulu, situated at the northern corner of Bothnia Gulf, has many places to travel which includes castles and cathedrals. Some of the places you must visit in the Oulu include Linnansaari, Cathedral in Kirkkokatu, Ainola Park, Municipal Library, Oulu Botanic Garden and Provincial Museum. Archipelago National Park – an island that has attracted many tourists from around the world will definitely fascinate travelers with the beauty of its seashore and blue water. Archipelago National park is the real paradise of the sea animals and water sports, where you can enjoy your days here kayaking, sailboat gliding and motor boats. Also, travelers should never miss the parks Jurmo, Noto, Uto, Aspo and Houtskar in Archipelago National Park. Bustling sounds of the modernity, Tampere is one of the eye-catcher of travelers. With many cultural activities in Tampere, you can visit various parks and lakes in this city. The best season to visit Tampere is during various festivals.